The 2019 Membership Drive to become a Supporting Member of Second Chance Pet Rescue is now underway. For 35 years, Second Chance Pet Rescue has worked tirelessly to rescue homeless dogs and cats in the Grand Lake and Northeast Oklahoma communities. Our animal rescue is a non-profit, life-saving animal welfare organization that relies entirely on financial support from private donations to provide care, food, and a nurturing environment to homeless animals until they can be adopted. Join TODAY to help the many homeless animals that will miraculously find their way to our rescue shelter. Did you know that the average Intake Expense for Second Chance Pet Rescue to accept one homeless pet is approximately $100 per animal? This cost includes spay/neuter surgery, vaccinations, microchip (required by Oklahoma Animal Shelter Licensing Act), and veterinary services for every animal. This amount represents only the initial veterinary costs incurred when an animal first enters our shelter. It does not include the shelter's expense for nutrition, employee wages, administrative expenses and overhead to care for the animal until it is adopted. In 2018, our animal rescue accepted 640 animals through our facility with 260 animals adopted and 275 transported to out-of-state shelters for adoption. Our shelter is continuously at maximum capacity with daily pleas from the public to accept unwanted litters or abandoned and stray pets. Although that number seems staggering to some for our small animal rescue, the number of homeless dogs and cats in our Grand Lake communities never seems to diminish but continues to grow. Only with the public's awareness and effort that spay/neuter of family pets is the only way to STOP pet overpopulation can this very serious epidemic of homeless pets be overcome. Additionally, since 2014, our shelter and the City of Grove have worked together for Second Chance to accept all stray dogs and some cats captured by the City Animal Control Officer and unclaimed by owners. Second Chance Pet Rescue does this service without compensation from the City in order to stop the city's euthanasia of healthy dogs and cats. All costs associated with care for these animals accepted into our shelter are borne by Second Chance Pet Rescue. No funds are received from the city, state, or federal government nor is our shelter associated with any other animal rescue organization. Second Chance Pet Rescue invites you to become a member and help us continue our mission. Use the 2019 Membership Application below. Mail this form along with your tax-deductible check, or simply mail a check with "Membership" written in the memo area, to Second Chance Pet Rescue. You may also join electronically via our secure website at www.doitforthedogs.com. Don't wait but join today - become an everyday hero to help so many homeless animals! Would you like to become a Monthly Sponsor? By making a Monthly Sustaining Gift (no amount is too small), you invest in our life-saving animal rescue by providing a reliable stream of funds. A Monthly Sustaining Gift can be made by cash, check, or automatic payment set up conveniently from your financial institution or by using PayPal via our website. As a monthly donor, you truly provide the financial foundation that enables us to rescue and provide. While visiting the website, click on "2019 Annual Newsletter" to read about the recent accomplishments and future goals of Second Chance Pet Rescue. Read about heartfelt stories of adoption, courage, and gratitude. Please support Second Chance Pet Rescue today and send your tax-deductible 2019 Membership Pledge to P.O. 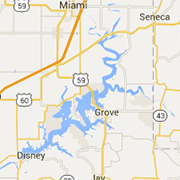 Box 451205, Grove, OK 74345.